In addition to the Pet Health Care Library, LMVS has provided the following links to websites that provide some VERY USEFUL information on a variety of topics related to veterinary medicine and companion animal health care. We will update this page frequently. Please feel free to send us your favorite resource link. We may just add it to the list! How to Have Happy, Healthy Cats and Dogs Who are a Joy in All Respects: Follow these LINKS! 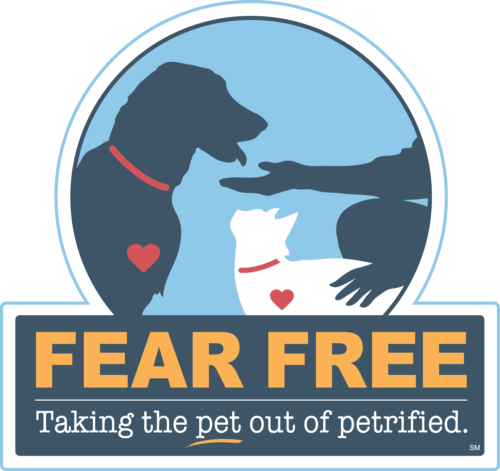 The Fear Free mission: "To prevent and alleviate fear, anxiety, and stress in pets by inspiring and educating the people who care for them." Seems like a pretty good idea to us. What should I be feeding my cat to keep him or her healthy and avoid common nutrition-related diseases and emergencies? This site covers what you need to know about feline nutrition. We just advise skipping the "raw food" section as it can be difficult to do safely and there are plenty of other good options available. This site also has bonus info on common feline conditions and perhaps most importantly, the litterbox from your cat's perspective. From your dog's and cat's basic needs and how to provide for them (e.g. scratching and cats) to toys, perches and everything in between, this is an EXCELLENT resource. Our recommended provider for puppy kindergarten and basic obedience classes as well as other activities. Our recommended provider for private training, select areas of behavioral counseling, pet selection and adoption counseling as well as other services. THE resource for any animal poison-related emergency, 24 hours a day, 365 days a year. Pets are susceptible to internal and external parasites- click this link to find out which parasites are threats to your dog or cat and how to prevent disease associated with them. Everything you ever wanted to know about heartworm disease can be found here! And yes, we really do have heartworm disease in Pennsylvania! This is an easy disease to prevent and a difficult one to treat. Prevent it.